Just about everyone goes to a party during the holiday season, sometimes multiple parties, and buying a new dress or outfit can be hard on anyone's already strapped holiday budget. It's important to be festive and look fabulous during the holiday season, so why not save some money by picking out a complete look or some additional statement pieces at Savers instead of buying a brand new dress or outfit. 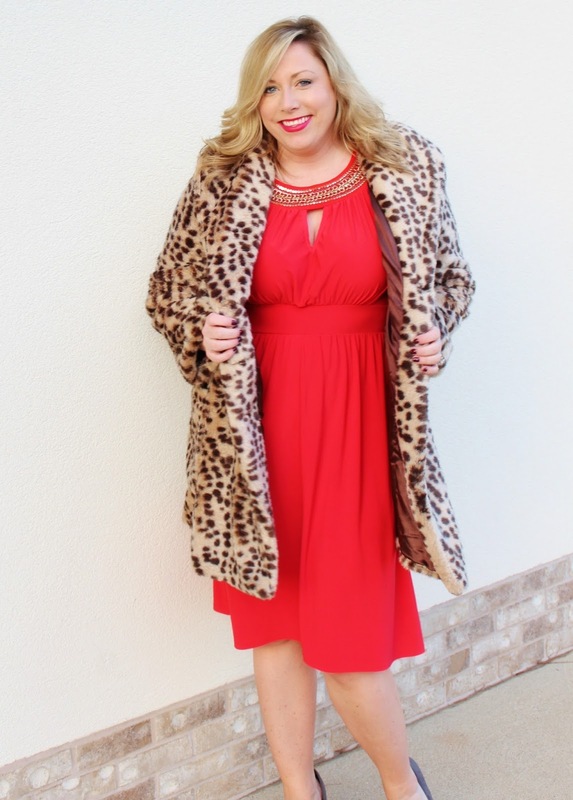 Finding the perfect holiday party dress can be easy and affordable with a little persistence and some time spent thrifting. There are so many unique pieces at Savers that can make anyone's holiday look complete. * I visited Savers a couple of different times to complete this look. They are constantly adding new pieces to the sales floor and the inventory is always changing. Start your search for the perfect holiday look a couple of weeks before your party or event. * Make sure you give yourself a good amount of time to shop. Sometimes it takes quite a while to get through all the racks and try on all the options. * Before you shop, look through your existing wardrobe. Pull out any pieces that could be styled with some thrifted pieces to make a "new" look. Sometimes pulling out some staple items such as a simple black dress or some statement jewelry as a starting point for your holiday look will make the thrifing process easier. * Don't buy something just because it's a great price. Make sure it fits you well and could be re-styled with pieces you already own in your wardrobe. * Be creative and have fun! Thrifting really inspires me to come up with some unique and interesting looks. The holiday season is a great time to "go bold" and dress up more than other times of the year! Not only is Savers a great place to get your holiday dress this year, it's also a great place for you to donate the ones you no longer wear. The holiday season is the perfect time to help others and avoid creating clutter - consider donating 3 pieces of clothing at Savers for every new present you receive this year. It’s an amazing way to support the non-profits that Savers partners with and it will help keep your closet clean too! Another great thing about donating items now, is that it will give you a jump start on your spring closet clean out and give you a fresh start heading into the New Year! Reorganize your closet and drop off all those gently-used clothes and various other items your family is no longer using at Savers! 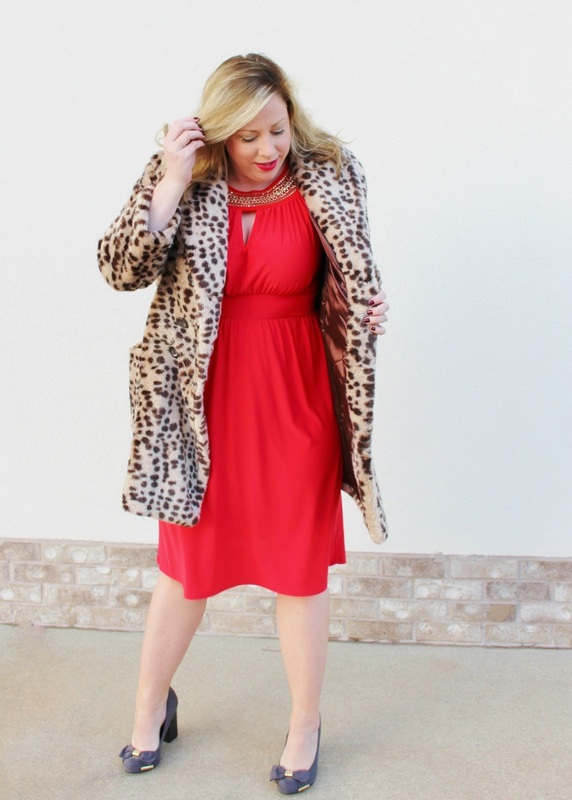 That red dress is perfect for the holidays! And I love that leopard jacket! It is so fun! 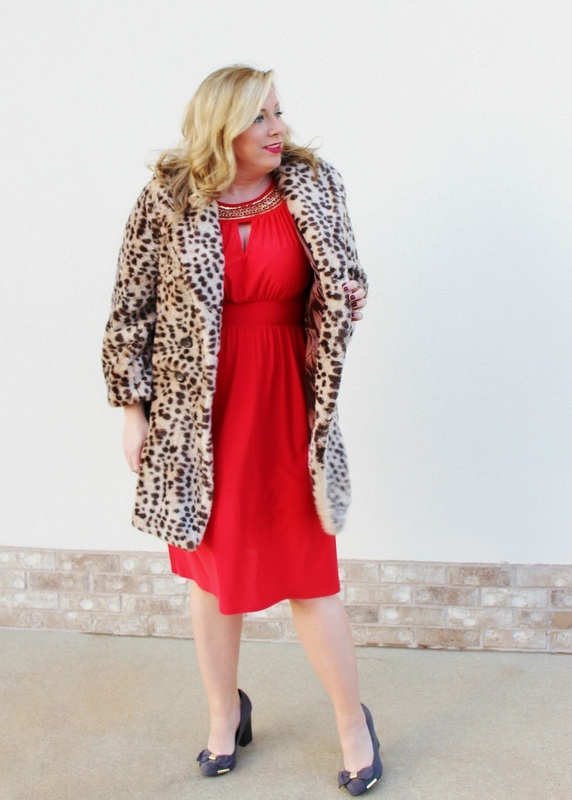 I absolutely love the way styled this dress with the animal print coat! Love a business that gives back, will definitely check out Savers.